Vietnam Insight 14 Days. Join us as we travel the roads, rivers, and trails of beautiful Vietnam on this 14 day tour. You will experience all the diverse and wonder-filled regions of this incredible country. The spirit of Hanoi will start your trip with energy and excitement. Sapa will astound you with its breathtaking mountain vistas. 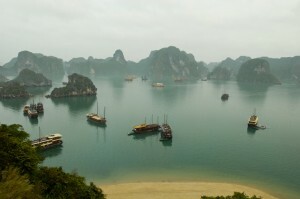 Halong Bay will delight and relax you as you drift past silent limestone karsts on a luxury cruise. 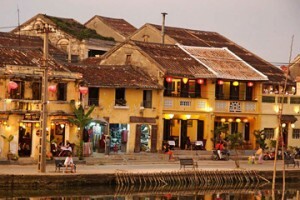 In Hoi An and Hue you will explore ancient roads and royal temples. In Saigon you will meet the soul of the south. Activities: The capital of Vietnam, a city that celebrated 1.000 years in 2010 has countless fascinating cultural and historic sites and our days' tour will visit the highlights. See the grand and solemn mausoleum of Ho Chi Minh (viewed from outside; closed Mon and Fri and from Oct-Nov), the 'icon of Hanoi' - The One Pillar Pagoda, the beautiful Temple of Literature, West Lake's Tran Quoc temple and Quan Thanh pagoda as well as the fascinating Ethnology Museum, the bustling Old Quarter and at the end of the day - a water puppet performance. 8.00pm – Asia TourAdvisor’s tour guide come to pick you up from your hotel then transfer to Ha Noi Railway Station and catch the night train to Lao Cai (overnight on the train, the cabin with 4 berths, soft sleeper and air-conditioning)., Arrive Lao Cai 5:30 or 6:00am. Activities: The train arrives at about 6:00 am. Look for the “Asia Tour Advisor Logo & Your Name” sign when you exit the train station, as our guide will pick you up there. Take a morning drive through the clouds by car / van to Sapa, about 1.5 hours. When you arrive in Sapa you will be taken to a local restaurant for a morning shower, breakfast, a short rest and some last preparations before our inspiring trek. After lunch, our guide takes you to visit two Black H’mong villages (Cat Cat Village) and a waterfall. There, you will have a chance to see the hydroelectric power station built by the French. After that, it’s back to Sa Pa for dinner. In the evening, you’re free to do as you wish. You can explore the town of Sa Pa.
Activities: Get up in the morning for breakfast and check out the hotel room, your bags will be put in the hotel luggage store again. We start the trip at 9 Am with the guide. We will walk about 15 kilometers, visit three different villages belonging to the Black H’Mong , Dzay and Red Dzao people. We guide you along waterfalls, rice fields and a small river in a lush valley with sweeping landscapes. This tour has the option of lunch in a minority home or pack lunch from the hotel at a picturesque location. We will get the pick up by van/ bus after visiting the last village. Our bus will pick you up at the hotel for the night train back to Hanoi ( time is at 4:30 Pm or 6:00 Pm, depending on your train time and your wishes).Arrive at Lao Cai train station and take the night train back to Hanoi. Activities: Early in the morning, arrive in Hanoi, the guide pick you up and transfer you to take a daily room for relaxing and shower. We'll pick you up in Hanoi by 8:00am and drive through the verdant Red River Delta to make our way to the famous UNESCO World Heritage site, Halong Bay. You'll board a luxury junk ship for an overnight cruise-- while you relax on-board you can marvel at the incredible limestone karsts that jut out of the sea and the thousands of jungle-covered islands that seem to float on the waves. The turquoise waters of the Gulf of Tonkin swirl around hidden grottoes and ancient caves to create an enchanting, timeless world. We'll serve you a fresh seafood lunch while you sit back and relax as you enjoy the incredible view with a drink in your hand. We'll take you to a traditional fishing village where the locals have created an entire town on the decks of their boats, then you can explore Tien Ong Cave before returning to the cruise for cocktails, canapés, and a spectacular sunset. End your day with a romantic, candlelit dinner. Activities: As your boat cruises back to Halong City through the spectacular karsts and limestone rock formations, have a leisurely morning before enjoying brunch on-board. 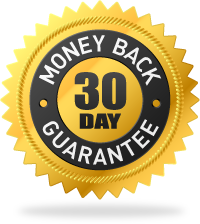 Your driver will meet you upon disembarkation for the transfer to Noi Bai airport and your flight to Danang. Arrive in Danang, pick you up and transferring to Hotel. Free time. Hoi An was a prosperous port from the 16th to 19th centuries trading with merchants from China, Japan, India, Indonesia and Europe who came to buy silk, spices and porcelain. Hoi An’s UNESCO World Heritage Old Quarter is beautifully preserved with ornate pagodas, antique trading houses and old tile-roofed shops. It is a rich architectural fusion of Chinese, Japanese, Vietnamese and European styles. Many of the historic buildings lining the canals and pedestrian streets have been converted into art galleries, boutique restaurants, bars and cafes. Hoi An is surrounded by attractive countryside with traditional farming and fishing, and by sandy beaches with modern seaside resorts. Activities: Breakfast at your hotel, free time for relaxing on beach or shopping. In the afternoon, the guide pick you up and transfer you to Hue. 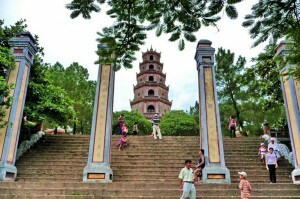 On the way to Hue, stop over for visiting Cham Museum, ascending the Pass of Ocean Clouds for panoramic views of the surroundings and visit the picturesque fishing village of Lang Co Beach. Arrive in Hue, check in hotel and free time. Activities: Breakfast at your hotel, free time until transfer to airport for a flight to Ho Chi Minh city. Arrive in Ho Chi Minh City, pick you up and transfer you to hotel. Free time. Activities: Leave Ho Chi Minh city, enjoy the scenic journey along the National Highway bordered by green rice fields. On arrived at My Tho, visit Vinh Trang pagoda, take a leisurely boat ride along the river, view stilt houses, fruit plantations and fishing villages along the river bank. Proceed to Tortoise islet, have lunch in the orchard garden. Then a boat ride to An Khanh – a less touristy attraction in Ben Tre, enjoycruising on a hand-rowed sampan under the shade of the water coconut trees along natural canals. Have a short cycling tour (applied for private tour/if time permitted) then enjoy seasonal fruit & honey tea to the sound of "Southern Vietnamese folk music", performed by the locals. Visit a family business which epitomizes the idyllic rural lifestyle, taste delicious coconut candy & observe the pastoral life as you roam through fruit plantations and villages. Proceed to Can Tho. Check in hotel. Free time to visit bustling Can Tho market. Activities: Take a leisurely boat trip to explore the picturesque tributaries of the Lower Mekong river ( Bassac River), then proceed to visit Cai Răng floating market (& Phong Dien is optional), which are the liveliest in the whole religion. Have you ever tasted Vietnamese vermicelli soup? Well, now go and see how it is made. Then wander around the village and meet the friendly local people and experience how to cross a "Monkey bridge" which is built by only o¬ne stem of bamboo. Visit the orchard garden. Stop for lunch. On the way back to HCM city by bus the last stop is to see how incense sticks are made (optional visit to Mangrove forest which was a former Viet Cong base used by the guerillas during the War can be arranged on request). Activities: Your time will be your own until your private car and driver arrives to take you to the airport for your flight to next destination Finish unforgettable Vietnam Tour with Trekking Ha Giang . Good bye & see you in the next time! Trekking Ha Giang can arrange additional customized trips for you if the above itinerary does not match your expectations. 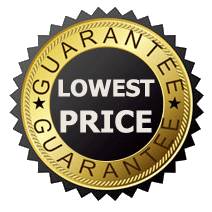 All entrance fees as indicated as itinerary. "Impress on Trekking Ha giang’s service"